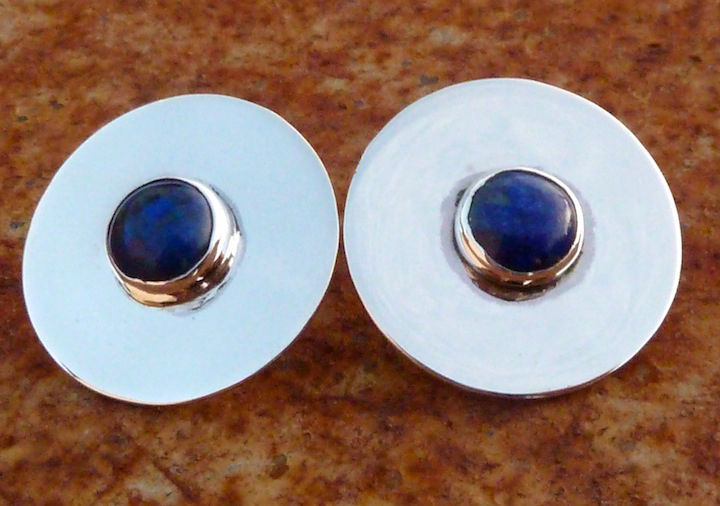 These earrings are entirely hand-made, so no two earrings are alike. This pair was made on commission and were just shipped out. These earrings are about dime-sized. 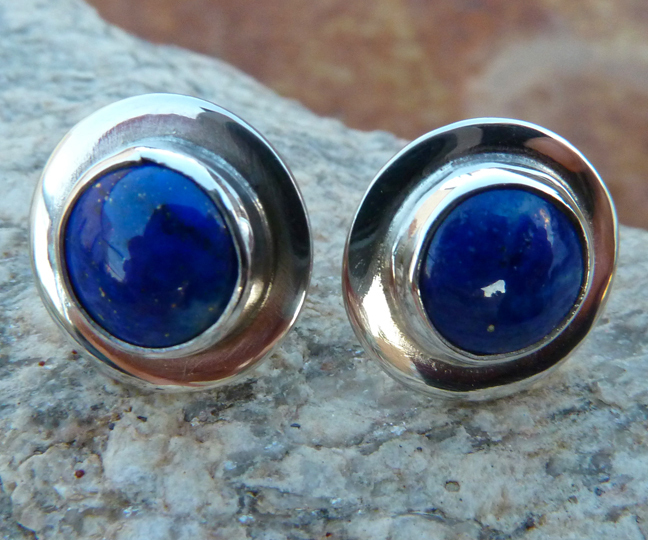 No two earrings are exactly alike since the pieces are hand-cut and hand-hammered. Of course, that is their charm. 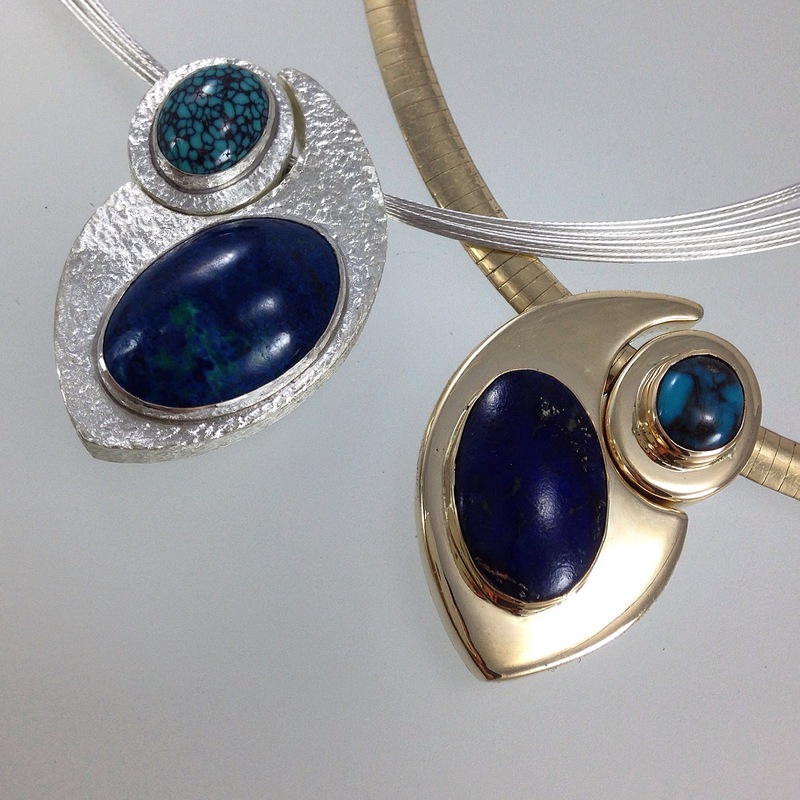 The lapis in this pair reminds me of the blue of the night sky. I love the moon. July is the perfect time for moons. We are now in the astrological sign of Cancer. Cancers are ruled by the moon. 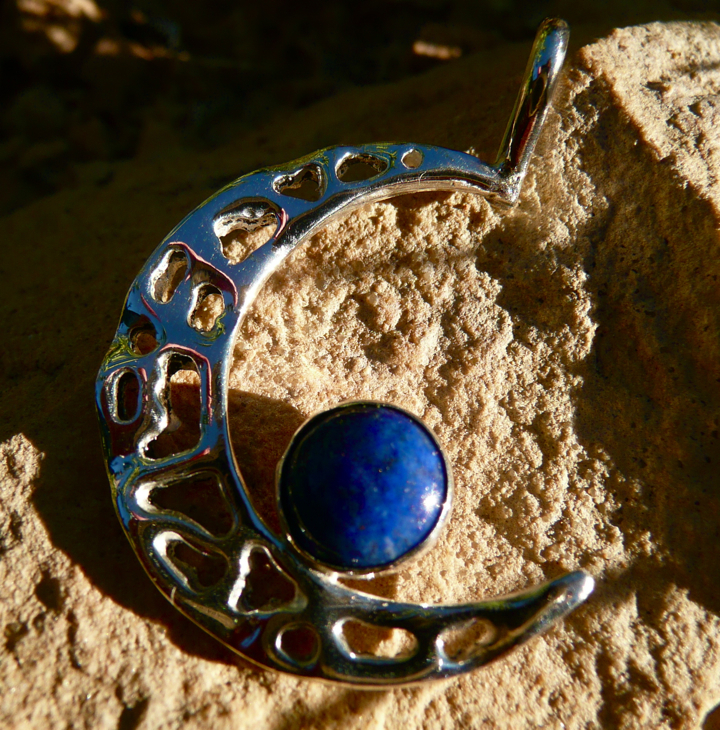 This is another version of my full moon lapis pendant. Enjoy! 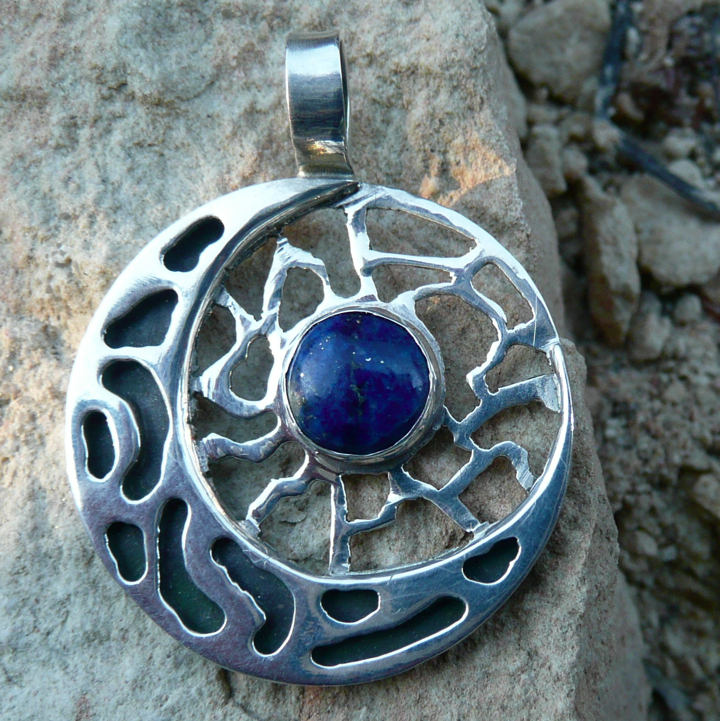 Lapis lazuli energizes the throat chakra. The throat, or fifth chakra, is connected to communication and creativity. 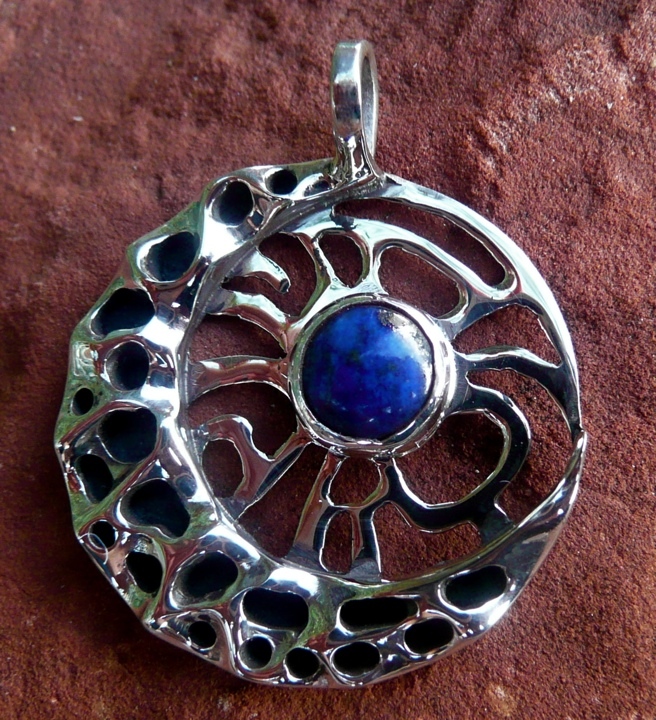 This is a good stone to wear if you are interested in speaking your truth. It brings harmony to relationships with the self and others. It’s also just a very beautiful stone.